Question 1: Please provide a detailed description of the envisaged project and related transactions between the parties involved including the underlying financial data. Answer 1: The project aims to demolish the existing National Theater, which was constructed in 1938, designed by the famous Italian architect Giulio Berté. In the eighty years of its existence, the National Theatre has been and remains one of the most important social, historical and cultural centers of the capital. 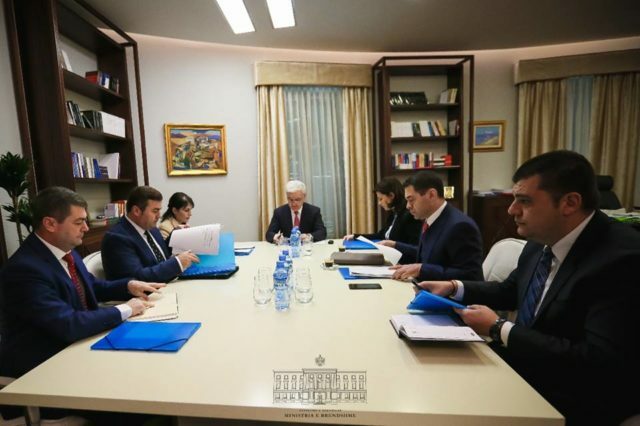 In place of the existing National Theatre, a new one will be built by Fusha Ltd. – an Albanian private company – which in turn acquires the right of ownership over 9200 m2 of public property as well as the right to build 6 towers. It’s important to highlight that construction costs of the project are overestimated, while the company’s profit is underestimated. This argument is based on current market conditions and value-based pricing in the area. In the following answers you will find a detailed analysis, based on the Fusha Ltd. project and feasibility study, that reinforces this argument. Question 2: In the absence of the public tender, please explain how will the authorities ensure that no selective economic advantage will be granted to Fusha Ltd. as a result of the envisaged contract. Answer 2: Referring to Albanian legislation on public procurement, public auction and public private partnership, competition is sanctioned as the only mechanism that guarantees the maximization of the public interest through the competition of companies in the process. In the absence of competition, there is no legal-procedural mechanism which can ensure the maximization of the public interest and that Fusha Ltd. is not given unfair and unjustifiable economic advantage. The government even has abolished the right of the negotiating commission to perform its legal function (established on the basis of the relevant law), forcing it instead to accept the contractual conditions that have been chartered by Fusha Ltd. The Government’s argument is based on the fact that Fusha Ltd. Company owns approximately 298 m2 on a surface area of about 9,000 m2. This is not even a boundary surface. Even if it was, this argument is not reasonable for providing to Fusha Ltd. exclusive property rights on public property. To gain a clear understanding of the colossal profit that this law guarantees to Fusha Ltd. Company – a profit that should belong to the state and its citizens – please refer to question no. 14. Taking into consideration that the National Theater building should be reconstructed and that the unprecedented form of collaboration is prescribed by this law, and referring to (i) the feasibility study data (cost structure, unit prices, conversion matrix), and (ii) the data known as the official cost of construction and the market price of the unit sales, it is objectively estimable that the benefit of the proposing subject Fusha Ltd. gains by eliminating a public tender is unjustified. Under the terms of a tender, the partner-state benefit would be much higher. But since the Albanian government has decided not to undertake a public competition procedure and to determinate the terms of the contract, but instead simply to approve the private firm’s proposal and to limit itself only to their (minimal) negotiation, all indicators show a high benefit for the private entity and a minimum gain for the state. The law stipulates that the contract is concluded within a 30-day period (referring to point 1 in Article 8 of the Law), under the conditions set by the company Fusha Ltd (!). This makes the role of the Negotiating Commission fictitious, as it has to negotiate a contract with predetermined terms. Question 3: With reference to the letter providing counter arguments relating to the affectation of the trade between the EU and Albania (part no. 1) it is noted that the law only lays down conditions of a special procedure for negotiating and signing the contract for a development project in the National Theatre zone. However, please note that if the law is implemented and the contract is concluded, the effect on trade between the EU and Albania would need to be considered. In this respect, in line with the EU jurisprudence, it is not necessary to establish that the aid has an actual effect on trade but only whether the aid is liable to affect such trade. Answer 3: As best practice implemented in Albania in the last 20 years, Tirana’s urban plans or architectural interventions in the center of Tirana have always been carried out with an international competition (EU companies have been announced winner in numerous cases). The case of Fusha Ltd is an exception to the practice pursued until now. Not only was no international contest undertaken regarding the new National Theater building project (assuming everything is in line with the law), but there will be no competition for the construction of the new buildings in exchange for the public space given away in the center of Tirana. The preferential and selective treatment that the government has made to the subject Fusha Ltd. potentially and effectively affects trade between the EU and Albania. If, under the law, there was an open international tender, entities operating in the EU would have had the opportunity to be acquainted with the terms of the tender, evaluate the competitive advantage and participate in this tender / design contest. There are many cases where design contests, or tenders with focus on design master plans similar to urban planning, have been acquired by foreign studios. Consequently, the aid granted to the subject Fusha Ltd. is objectively estimated to have negatively affected trade with the EU. Also, allow us to bring to your attention the Stabilization and Association Agreement, which constitutes the regulatory framework between the EU and Albania, from which Albania imposes a number of obligations. Article 71, point 1 thereof provides that “The following provisions do not coincide with the proper functioning of the Agreement as it may affect trade between the Community and Albania: (iii) any State aid which distorts or threatens to distort competition by favoring certain undertakings or certain products“. Predetermination of a private enterprise, such as Fusha Ltd., undoubtedly constitutes an aid by state institutions, namely the Ministry of Culture and the Municipality of Tirana, which not only distorts or threatens to distort competition, but eliminates it altogether, directly and openly in the favor of the private enterprise Fusha Ltd. Furthermore, Article 71, point 2 of the SAA provides that “Practices contrary to this Article shall be assessed on the basis of criteria arising from the application of Community competition rules, in particular Articles 81, 82, 86 and 87 of the Treaty establishing the European Community and the interpretative instruments used by Community institutions“. Question 4: What is the reason of assigning a private company to conduct the project without any competition? Decision of the Council of Ministers no. 325, dated 12.04.2017 “On the proclamation of the historic center of the city of Tirana and the adoption of the regulation for its administration and of the protected area around” removed from the perimeter of the historical center the area proposed by the private entity Fusha Ltd. (qbz.gov.al/botime/fletore_zyrtare/2017/PDF-2017/83-2017.pdf). The non-inclusion of this area in the historic center is openly against the law on cultural heritage, etc. The initiative to contract foreign design studio “BIG” comes from the private entity Fusha Ltd., against its own expenses, in order to appear as an unsolicited proposal (https://www.big.dk/#projects-trna ). The appointment of a private company without competition, namely the company Fusha Ltd., has been the purpose of the government since the beginning of this procedure, with the preliminary steps (the above-mentioned decisions), opening the way for the formal presentation of the proposal. The reason for selecting the Fusha Ltd. is related to the early relationship that this subject had with Prime Minister Rama, at the time when the latter was Mayor of Tirana (2008-2011). A large number of tenders were obtained from this subject, constituting a significant portion of all tenders awarded: in a total of 61 procedures where Fusha Ltd. was awarded the tender and signed the contract, 44 procedures were developed by the Tirana Municipality and its subordinate institutions, and 11 of these were direct awards without negotiation. This clientelist relationship continued in the form of the reconstruction of the Prime Minister’s Office as soon as Rama received the Prime Minister’s mandate in September 2013. The reconstruction of the building was carried out by this subject. In the conditions of complete lack of transparency, the only public explanation given to the public by the Prime Minister was that it was a donation of a private entity and this justified the lack of publication of the contract and the respective bills. Similarly, there is a preexisting relationship between the prime minister and the architect-owner of the BIG design studio, Bjarke Ingels as Rama, when he was Mayor of Tirana, was a jury president in a competition won by Bjarke Ingels. The preponderance of evidence thus suggests that both Fusha Ltd. and BIG have had the prime minister as their interlocutor. It should also be mentioned that Fusha Ltd. has obtained in the last four years, 127 public contracts from the central government and Tirana city to the tune of 80 million Euro, many of them without competitive bidding. 35 of them, to the tune of 25 million Euro, have been awarded to Fusha Ltd. by the Tirana municipality under Mayor Erion Veliaj. Only 9 contracts out of these (a quarter) have been awarded by open and competitive bidding. This is in stark contrast with Fusha Ltd. contracts awarded when the government and Tirana was DPThese facts show that a number of favorable practices have been applied to this company over the years, in violation of the principles of free competition, transparency and non-discrimination. Question 5: Why is this done in the form of a specific law? To remove oversight and avoid individual liability for unconstitutional and illegal decision-making of the Council of Ministers, the Municipality of Tirana, responsible ministries. Given the dysfunction of the Constitutional Court, due to the absence of its members –since April of this year, and no hope for a full court in the near future –the Government can more easily adopt a law violating the Constitution and international agreements (specifically the SAA). Question 6 : As the law foresees a ‘Negotiating Committee’ mainly for defining the terms of the contract with the selected private company, why was not this Committee also charged with the selection of the company itself? Answer 6: See also the answer to question no.4. The establishment of such a commission is provided by the law “On public concessions and public partnership”, in article 25, which determines the procedure followed in cases of unsolicited proposals. However, as stated above, it is clear that the company Fusha Ltd. has been preselected for the construction of the new National Theatre building and the towers around. Articles /4 and 8/1, of this Special Law expressly states that the project will be implemented according to the proposal of the private partner (meaning Fusha Ltd.), which means that the activity of the negotiation commission will be purely formal without any real impact in the final contract. On April 9th 2018, the collective of artists of the National Theatre, with their initiative and in cooperation with some architects, presented an alternative project aimed at preserving the existing building, restoring it and building new surfaces with a total cost of 10 million euro. The fact that this project was not taken under consideration by the state authorities obviously constitutes a selective treatment. Question 7: It seems from the provisions of the law that many basic elements of the contract and the performance are still to be defined. Taking this into account, could you please explain the elements that were taken into account during? 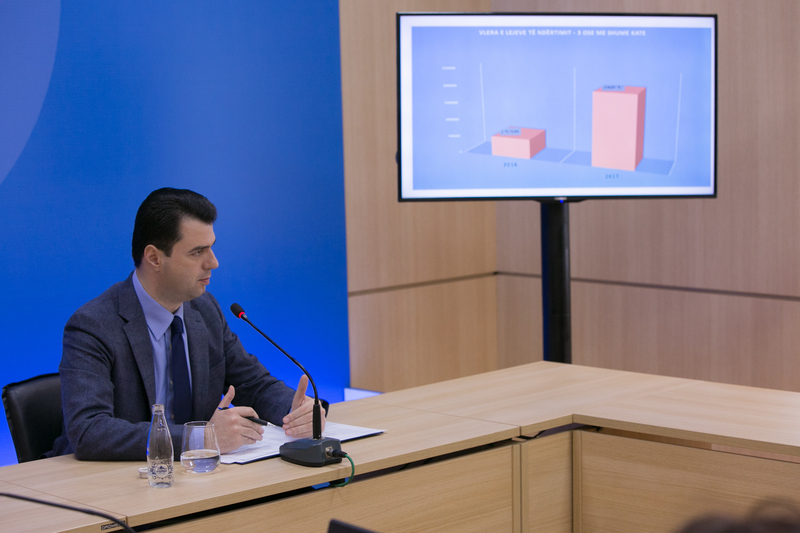 In violation of the law, the government has bypassed the Municipal Council, which Mayor Veliaj did not ask to approve the project and alienate municipal land (3/5 of the total votes required). The local government law requires land and assets alienation allocation decisions to be made by the Municipal Council and forbids that its competence be taken by the Albanian Parliament or the Mayor. The assessment of the working group set up by the Minister of Culture for the proposal submitted by the subject Fusha Ltd. (including information on the investment and property) was completed within the same day of the establishment of the working group (file:///C:/Users /Alba/Downloads/Urdher%20grup%20pune%20vleresimi%20dhe%20memoja%20e%20vleresimit%2016%20maj%202018.pdf). 8) Poor and disagreeable conditions for the state partner in the proposal. It should be added that the argument that the draft contract/negotiation conclusions will be approved by the parliament is not any guarantee under the precedents of unconstitutional laws that were approved. Whatever that will be the product of the negotiations will most probably have the approval of the government majority in Parliament. In the special law, the contract becomes an accomplished fact, as well as its terms, which are to be determined according to the proposal of the private enterprise Fusha Ltd. (article 8, no. 1 of the special law). Lastly, it is also very disturbing that the highest authority for signing this contract passes to the Mayor of Tirana, bypassing the legally-defined decision-making institution, the Municipal Council, as per articles 54 and 55 of Law 139/2015 “On Local Self-Government“. Question 8: With reference to the letter providing counter arguments (no 2) stating that “The approved Law not only has not preliminarily selected any private entity, but amongst the stipulation of other legal acts in force, it has also provided for some additional requirements that the private entity should fulfill (…) “please clarify what were the selection criteria of the private company conducting the project? Answer 8: There was neither selection nor criteria set for selection. The decision to negotiate with the private entity with the justification that the private entity owns a property close to the public property is legally unfounded. First, the private entity has had all the opportunity to develop its private property in accordance with the General Local Plan. Not including the public property in the project does not constitute prejudice to any rights of the private company. Incorporating the public property in the project serves the unique purpose of profiting Fusha Ltd., a profit, which would absolutely not be realized if only the private property were included. This increase to the profit of the private entity, in agreement with the Albanian government, damages the public interest,. Second, the success of the negotiations potentially will be followed by the contract signing, which is the ultimate goal for the realization of this project and constitutes a series of violations of the laws and the constitution. Question 9: Was it just the fact that he had legal title over a land and a building in an area near the theater? Answer 9: Such a fact cannot constitute legal merit, especially without a comparison between public property and property owned by the private entity, the value of which is insignificant. It’s also a fact that there are also nine other private landowners involved in the project proposed by Fusha Ltd. But even if the subject Fusha Ltd. were the sole owner of all private property that is the object of the proposed project, there is still no legal reason to select it automatically. As evidenced by the official immovable property registers, the company Fusha Ltd. owns a property of only 298 m2 and is not a boundary owner of the National Theatre property. Question 10: If so, please explain how these selection criteria ensure that the basic principles of public procurement (equal treatment, non-discrimination and competition) are followed? Answer 10: All the principles of public procurement have been violated. In principle, under the terms of legality, a tender should always be requested, as: it is the legal instrument which enables consideration of proposals submitted by other interested parties; it provides the most favorable technical/ financial/urban solution for the public interest. The Special Law thus constitutes an flagrant discrimination against other companies, Albanian and European, operating in these sectors. Question 11 : With reference to the provided counter arguments (no 4) stating “The regulation of this atypical legal situation cannot be realized through the procedures and rules set out in the concession law / private public partnership due to the following reasons ) “please clarify which provisions in the Albanian public procurement legislation allow for such a legal solution? Answer 11: As an unbidden proposition in the field of art and culture (article 4, letter “ë” of the Law on Public Private Partnership), this company proposes to enter into a partnership relation with the state, so this situation should be regulated by the law “On concessions and Public Private Partnerships”. None of the legislative acts refered as a legal base in the explanatory memorandum to the draft law or any other earlier acts do not regulate or allow for the content of the Special Law. and do not provide any definitions under which will find a complete adjustment of the concrete case. There is no provision in Albanian legislation to foresee such a kind of relationship between state and private entities. Question 12: How is the legal solution of direct award compatible with the basic principles of public procurement, i.e. equal treatment, non-discrimination and competition? Answer 12: See the answer to question no. 10. Question 13: How does such a legal set up comply with Article 74 of the EU-Albania Stabilization and Association Agreement on public contracts granting non-discriminatory access to the Parties’ companies in each other’s public procurement markets? Answer 13: Assuming that the National Theatre would be built and that the existing building does not constitute a cultural monument, potentially, all the private, Albanian and European companies that operate in this area are discriminated against as the are prevented from participating in a competitive procedure. Equal treatment of Albanian and European companies by the Albanian state is a very important obligation stemming from the Stabilization and Association Agreement (SAA), which forbs any form of discrimination. In this case, not only do we have an unequal treatment of private, Albanian and European enterprises, but an open favoritism towards a company which has been a repeated beneficiary of Albanian state tenders. This pattern of the Albanian government according preferential treatment to the company Fusha Ltd. cannot be in accordance with the principles on which the European Common Market is built, especially the principle of non-discrimination, and consequently it is in violation of Article 74 of the SAA. The Albanian state should guarantee every private, Albanian and European enterprise the right to be treated equally and to benefit, based on their capabilities, from competing for public works projects in the territory of the Republic of Albania. Question 14: Furthermore, given that the private party will not receive any financial compensation from the state budget, please explain what is the type of compensation that it will receive for the completion of the works? Answer 14: The argument that the private party will not receive any financial compensation from the state budget is insufficient to justify the disproportionate benefit that the contracting party will have from this contract (see in the feasibility study the rapport between the surface area of ​​each party; the stated cost value of the construction and the selling price/unit). This company will get the right to build six towers of 30 floors, in a total construction area of 102,600 m2 (570 m2 for tower x 30 floors = 17.100 m2 construction surface for tower; 17.100 m2 construction surface for tower x 6 towers = 102.600 m2 total construction area). The total value of construction is 256.5 million euro (102,600 m2 total construction area x 2500 euro/m2 = 256.5 million euro), while the total cost of construction is 51.3 million euro (102.600 m2 total construction area x 500 euro/m2 of construction cost). This brings to Fusha Ltd. a profit (the difference between total value and construction cost 256.5 – 51.3) of 205.2 million euro. It is clear, from a simple calculation, that the “financial compensation” of Fusha Ltd. is much higher than would be the profit of another company that would undertake the realization of this project. Question 15: What are the rights and obligations of the public and of the private party in the contract? Answer 15: In the adopted special law, the conditions under which the negotiating commission should negotiate are expressed in general terms, without specifying minimum and maximum concrete limits for each element, thus failing to guarantee the protection of public interests. All the indicators of the relationship between state and private parties lead to the conclusion that the rights and obligations of the parties will, in essence, be those proposed by the private entity. 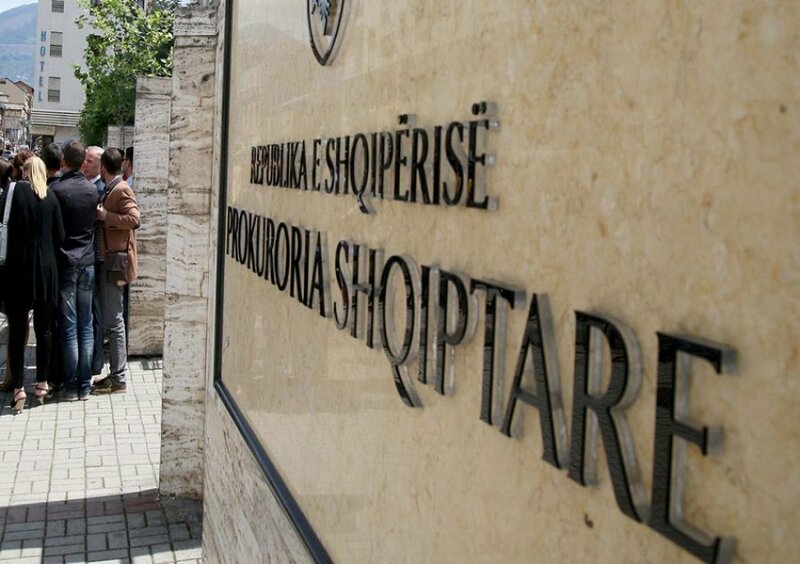 From the recent international reports, it turns out that the Albanian state faces a very serious problem related to corruption, transparency in public procurement and poor enforcement of state contracts The analyst of BIRN, commenting the US Department of State report on the investment climate, said that “until five years ago, when a road tender was issued , foreign companies competed for its construction; five years later, there is almost no foreign company bidding to winn a tender in Albania”. According to another report by the European Court of Auditors, 1 out of 3 public contracts was concluded through direct negotiation without prior announcement. In this context, this law also violates the principles of free competition and non-discrimination of private enterprises in the field of public contracts. We appreciate that this is a very important moment for Albania, in the framework of advancing the European integration process. 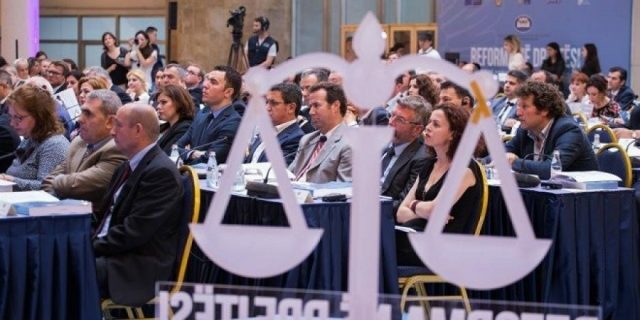 Currently, the European Commission has initiated the screening process, the primary purpose of which is to evaluate the compatibility of the Albanian legal framework with the EU acquis and the best practices of member countries; also to identify potential gaps and/or potential violations. In this context, we recall that the SAA itself in its article 74 (2) provides that the Commission shall periodically review whether Albania has adopted legislation under EU procurement rules under which European companies should be offered equal treatment, and not less favorable than that given to Albanian companies. This practice, contrary to the rules of European public procurement legislation, on competition and state aid, also violates the obligation of the SAA to approximate domestic legislation with that of the EU for the areas under the first transitional period, i.e. 5 years from the entry into force of the SAA (article 6 and article 70 SAA) . If this practice, which openly violates the SAA and EU Treaties is accepted very dangerous precedent for the future trade relations between Albania and the European Union is established.